We are excited to announce that due to the success of the Madrigal Feast, we are able to lower the cost of the Festival Trip $50 per person to $100. Click here to view the Trip Information and Contract. Please complete the contract and submit it with your payment on January 15. We should be able to begin accepting payments the week of January 15th through Charms. We are looking forward to this great performance opportunity in San Antonio. Please let us know if you have any questions. Have a wonderful day and a very Happy New Year! I hope you are enjoying your break with family and friends. Click here to see our Spring Rehearsal Schedule. Please add these dates to your calendars and work out any conflicts as soon as possible. Have a safe rest of the break and a Happy New Year! See you in a week or so! Click here to view the Area Audition Information. Please let us know if we you have any questions. We are extremely proud to have your students singing at this contest. Happy New Year! 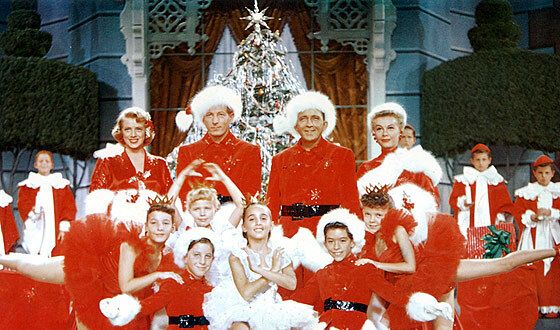 All Choir Members are invited to our White Christmas Party TONIGHT in the CHS Choir Room from 7 to 9 PM. You can wear your CISD Dress Code Approved Pajamas and bring blankets. You can bring snacks or food and can come and go or stay for the whole movie. Click on the image below to visit the Blunck’s Photography website to see the group shots of the choir images we took yesterday. They are available for purchase if you would like them! Merry Christmas! Please help us encourage your singers to sign up for a time to sing for me or Mr. McLean over the break. They may sign up online here. They also will be able to sing for us the week we get back to school in January. Our All-Staters last year all made singing for us a priority prior to this audition. 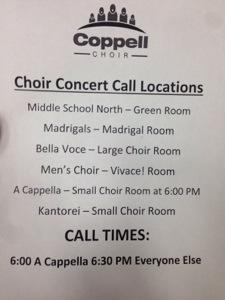 We are expecting all of our singers to do an amazing job at this contest in Waco on January 10 and 11. Thanks! Merry Christmas! !